You may have tried the popular Huy Fong brand “rooster” bottle of Sriracha found at your local Vietnamese restaurant (and increasingly in more diverse / hipster restaurants). The condiment is an immigrant success story – founded by David Tran, a Vietnamese American refugee who came to the US after the Vietnam war. 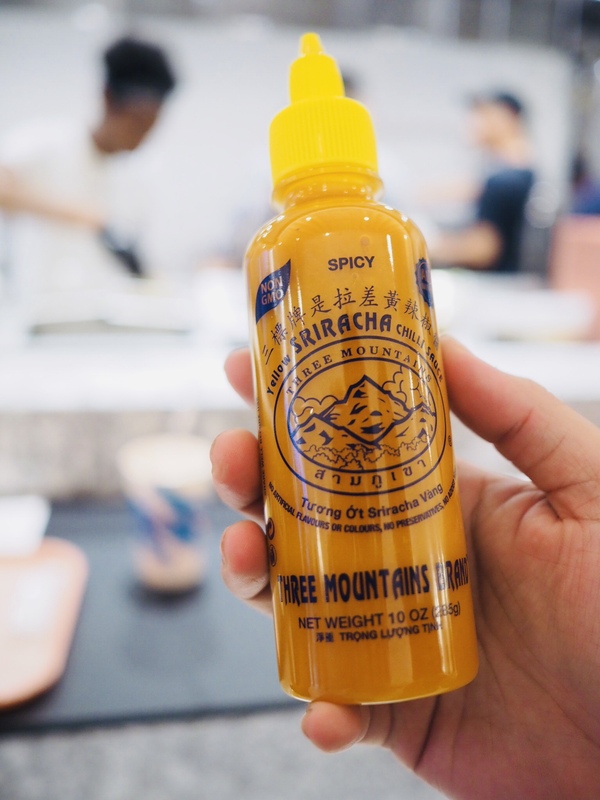 Mr. Tran created his version of the spicy, sweet garlicky Thai hot sauce after coming to the US and naming it after the coastal city of Si Racha. On a recent visit to the newly opened Domu Chibi, we noticed these new “yellow” sriracha bottles that owner-chef Sonny Nguyen stocked for the restaurant. 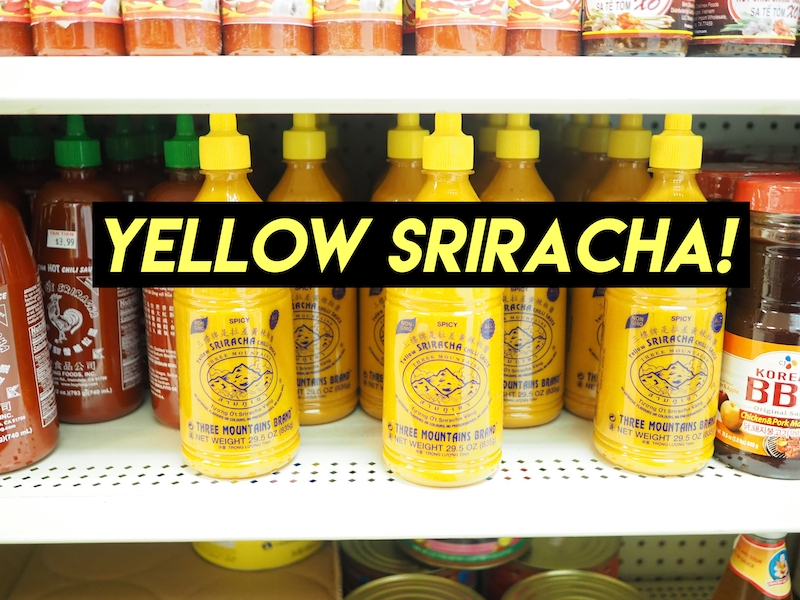 So What Is Yellow Sriracha? The yellow sriracha comes from Three Mountains, a small chili farm in Sriracha, Thailand, and made from yellow Thai burapa chilis, that has a complex spicy sweet flavor and rich consistency. It is a little sweeter, less vinegary, almost citrusy version of the traditional rooster brand Sriracha. It’s sparked a cult following on social media recently, especially among our local foodies of the Orlando Foodie Forum. Ironically, Sus Hi Eatstation, who were the victims of a robbery recently, did not have their precious yellow sriracha stolen as they were stored inside the safe inside the store. They are selling them by the bottle now. 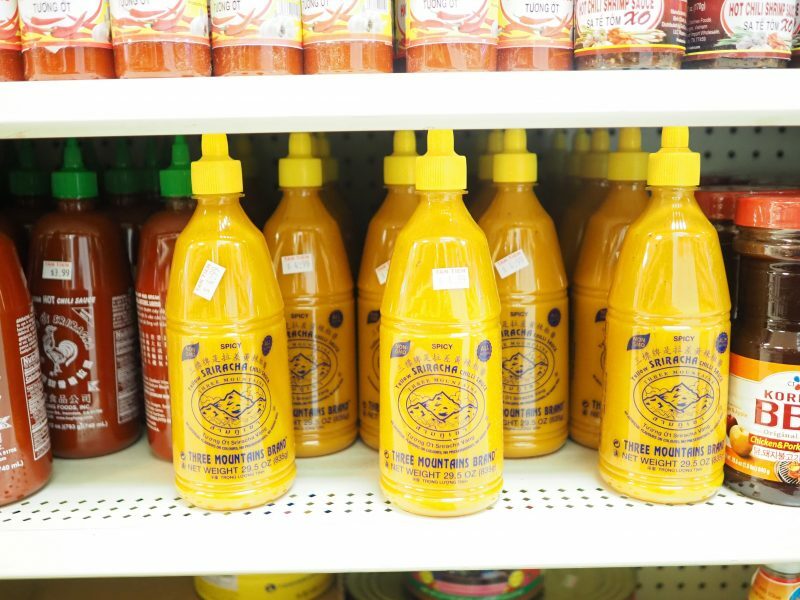 You can also purchase the yellow sriracha by Three Mountains at local Asian grocery stores / markets such as Tan Tien Market in West Orlando or Eastside Asian Market in East Orlando.